When sourcing vanity lights for our main bathroom remodel, I kept circling back to the bath bar we used in our guest bathroom. I really like its modern and streamlined look. So... I ended up "stealing" the vanity light from the guest bathroom, buying a second one, and had both installed in the main bathroom! Since the change, we have been living with a dimly lit guest bathroom (the one we are currently using during the remodel). 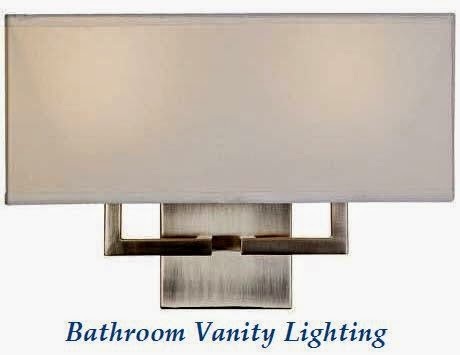 Needless to say, I am actively on the hunt for a new vanity light fixture! 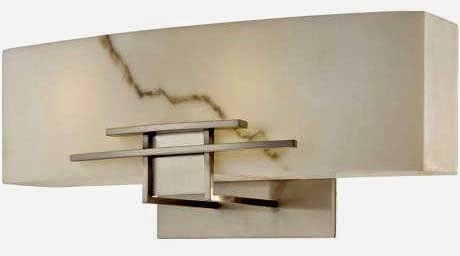 We actually purchased and installed the bathroom sconce in the image above. I love the contemporary design. Unfortunately, I felt the scale was just too overpowering in the space. The width and height were fine, but the depth of the linen shade didn't work. Back to the store it went, after my poor hubby just spent an hour installing it. When uncertain about how something will fit, I tend to buy at retail locations with good return policies. Light fixtures are a perfect example. 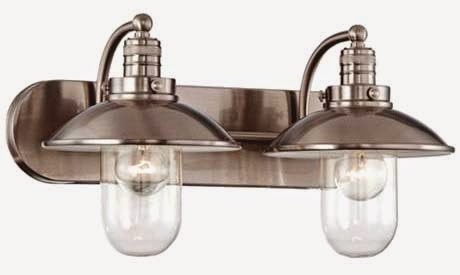 I have been looking for vanity lights online to replace the original bath bar. I prefer something modern and simple, yet different and unexpected. 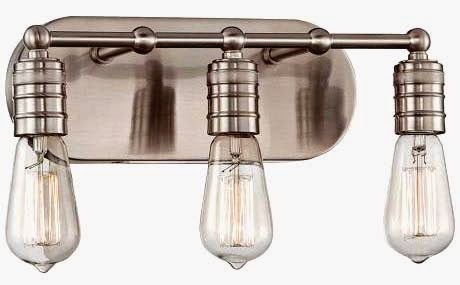 I am also gravitating towards brushed steel or nickel to keep the hardware finishes consistent in the guest bathroom. 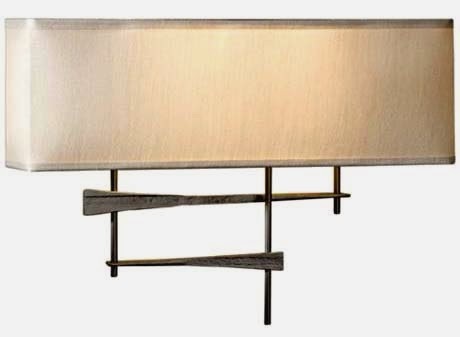 I don't mind mixing metals when it comes to furnishing and accessorizing, but would rather not mix hardware finishes. I sourced a few options. What do you think? Unexpected?! I focused on sconces rather than bath bars to contrast the lighting between bathrooms. Feel free to e-mail me or comment below with your opinions. Or perhaps, do you have any other suggestions? I welcome the input!